Pokémon GO Armaldo evolves from a Pokémon GO Anorith, both having the same dual rock and bug typing. In the core games, these fossil Pokémon are resurrected from an item called Claw Fossil. Both Armaldo and Anorith love Rainy and Partly Cloudy weather. Armaldo Max CP is 2675 and it’s stats are rather mediocre: DEF (183), STA (150) and ATK (222) is borderline average. Although an interesting addition to the meta game, because of its very unusual dual type, Armaldo is NOT a top tier raider or Gym defender. Fun fact: while Armaldo is known as the “Plate Pokémon”, Anorith is labeled as the “Old Shrimp Pokémon”. Compared to other fossil Pokémon, Armaldo has decent stats, but… that typing is more or less awful. Sure, it takes reduced damage from normal and poison moves, but it takes SE damage from water moves! In other words, Armaldo falls in the same bucket as most other Rock types, the “rekt by Vaporeon” bucket. It’s moveset and ok-ish ATK stat make it somewhat usable in raids against Flying and Fire typed bosses. It will go down pretty fast, but it can pull out some serious damage. Armaldo is not fortunate enough to have a (mega) evolution in any future generation. Fury Cutter and Rock Blast is a high ranking respectable moveset with above average DPS, benefiting from STAB. Both quick moves benefit from STAB, but even though Struggle Bug does about 50% more DPS then Fury Cutter by itself, the other one is alot better. Fury Cutter is the fastest (0.4s) and second best when it comes to Energy gain(15) quick move in the game. On the other hand, Armaldo’s charged moves are a mixed bag, with bizarre addition of Water Pulse and Cross Poison. Since its only one benefiting from STAB, Rock Blast is the best you can get. A normal Anorith has greenish-grey color on its body. The middle part of its head is black with two red colored, tear drop shaped markings. On each side of its body are four white colored appendages with red tips. A normal Armaldo has a body covered with grayish-blue plates. There are accents of yellow, black, white, and red throughout its body. The middle part of its head sill has the black pattern with two red, tear drop shaped markings. It has three pairs of red tipped, white appendages on each side of its neck. It has a plate of armor on its back which has four short spikes and two triangular, yellow-rimmed wings extending from underneath. A shiny Anorith has goldish-grey color on its body. On each side of its body are four white colored appendages with green red. Notably, a shiny Anorith’s claw appear with a red tip. A shiny Armaldo has a body covered with grey red plates. It has three pairs of red tipped, white appendages on each side of its neck. 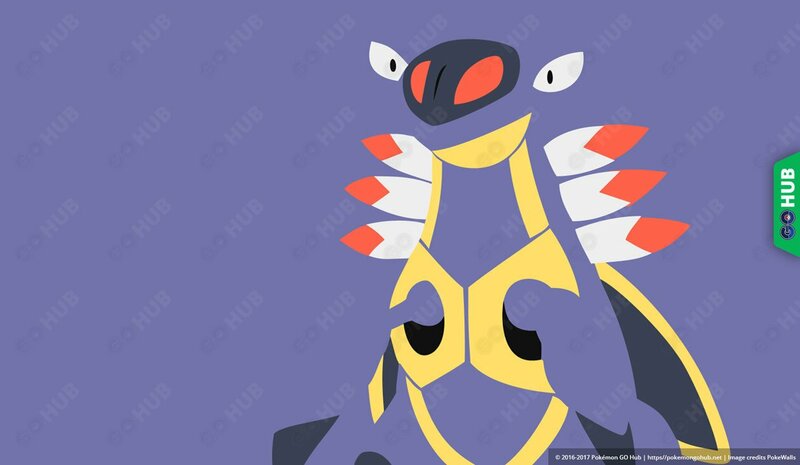 Anorith first appeared on the 376th episode of the Pokémon series (Advanced Generation: Episode 102) titled, “Where’s Armaldo?”. Armaldo first appeared on the 360th episode of the Pokémon series (Advanced Generation: Episode 86) titled, “Lights, Camerupt, Action!”.